Don’t call the Augusta GreenJackets’ new home a baseball stadium. And don’t think its owners defected to South Carolina to build it. 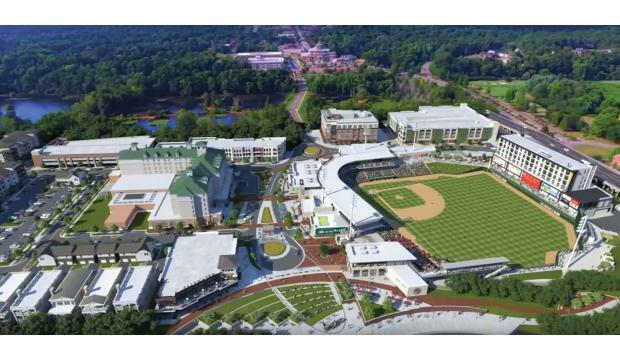 Those are just two of the points the GreenJackets’ president wanted to make as he presented one of the most candid looks yet at the sprawling venue where Augusta minor-league ball – and much, much more – is scheduled to continue. 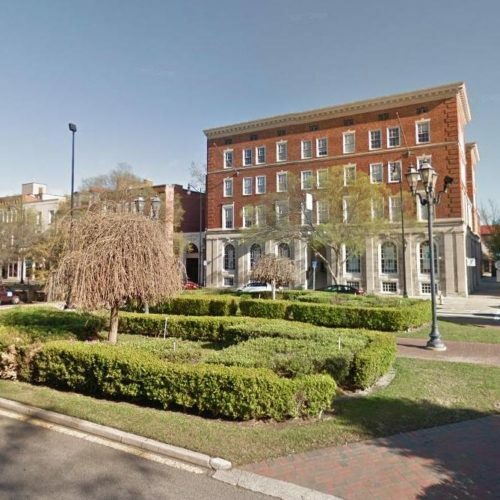 Jeff Eiseman spoke Thursday to the Downtown Development Authority of Augusta to lay out, in detail, progress on the development long known as Project Jackson. Now it has a formal name – Riverside Village – and the stadium has been christened SRP Park, after SRP Financial Credit Union bought the naming rights. But Eiseman will tell you what not to call all of this. Eiseman said the first big event at the park likely will not be a baseball game. Eiseman said the new development “will be nothing like Lake Olmstead,” the Jackets’ former home on Milledge Road. Built in 1995, Lake Olmstead Stadium sits on a tight geographical footprint, pinched in by public housing; the headquarters of the Georgia Army National Guard’s 878th Engineer Battalion; and the lake itself. Parking has been considered poor, and the opportunities to expand even worse. Now, with the promise of a new location, the team has deposits for full-season ticket accounts that are more than double what their season ticket base was this past season, he said. The entire development is not expected to be built out fully until April 2019, but parts will become operational as they are completed. And there are a lot of parts. A Crowne Plaza hotel will have 180 rooms and a conference center, expected to be completed by the end of 2018. The hotel’s rooftop restaurant will be “probably a high-end steak house that will be not indigenous to this area, but it’s one of the larger known chains that are out there,” Eiseman said. 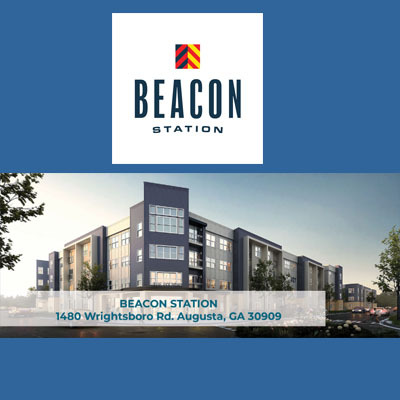 There will be a 280-unit apartment complex called Ironwood Apartments. More apartments behind the left-field wall will have fitness and clubhouse space for both home and away teams, and for umpires. Retail and restaurant spaces will total close to 90,000 square feet. 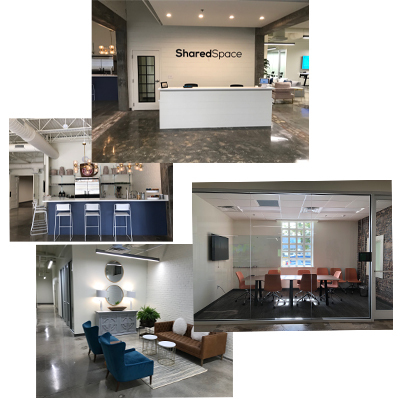 Office space totals almost 200,000 square feet. 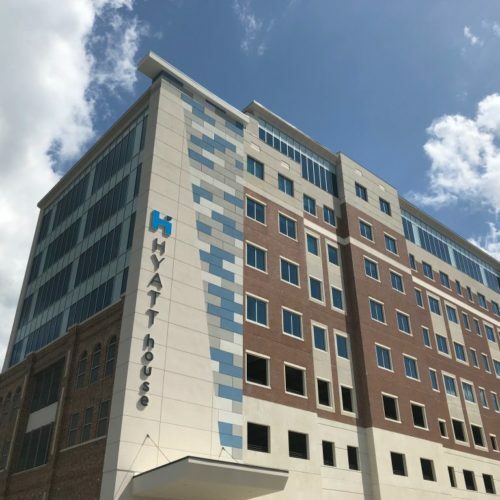 There will be 36 residential plats; 125 units of senior living; and 14 single-family-unit homes on North Augusta’s Greeneway, which will be expanded up to the stadium’s edge on the river. Near that Greeneway point, near the riverside amphitheater beyond deep right field, will be a brewpub restaurant that not only opens into the ballpark but will be open to the public year-round. “Our ballpark is not designed just for ball games. It’s really for social experiences,” Eiseman said. “Everywhere you go in this ballpark we want people to have a different experience.” The stadium’s 360-degree, wraparound walkable concourse was designed for people to “interact with the ballpark in unique and interesting ways,” he said. That includes the proximity to the Savannah River. “The river is part of the experience in this ballpark,” he said. The stadium’s outfield is scaled to resemble the outfield at AT&T Park, the home of the Jackets’ affiliate, the San Francisco Giants. That park borders San Francisco Bay, and the water beyond AT&T Park’s right field has been dubbed McCovey Cove. Paddle-boaters and kayakers typically patrol those waters on game days in hopes of retrieving a home-run ball that leaves the park. Given the dimensions of SRP Park and beyond, a batter would have to give a ball quite a ride to make it to the Savannah River. But Eiseman said it’s possible. He reminded Downtown Development Authority members that Aaron Judge, the New York Yankees right fielder now leading the American League in home runs, came up through the South Atlantic League, the Jackets’ league. Developers hope to attract other events such as concerts, festivals, corporate outings and holiday events. 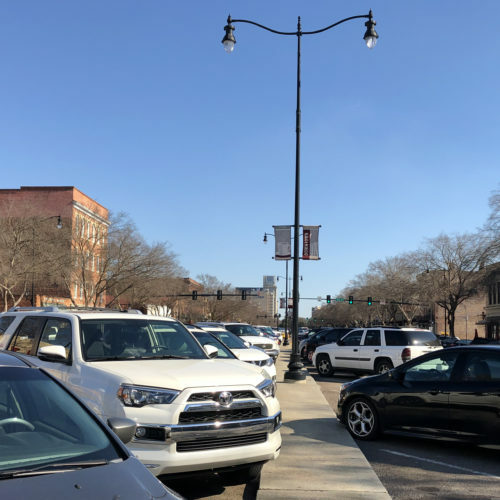 The development is a $200-million-plus, public-private partnership, and Eiseman said he has fought to convince people that it is not the tax burden some North Augusta residents have said it is. The city of North Augusta completed its installment-purchase revenue bond transaction for the project in May. As added proof of the team’s commitment, Eiseman said, the team is in a 20-year lease at the stadium. And for Augustans who might be upset at the team moving out of Augusta, Eiseman pointed out that the team now will be closer to downtown than Lake Olmstead is. The Jackets’ job is not to be partial to North Augusta, he said. But that’s where he wanted the comparison to the movie to end.